Lens Description: The Schneider Optics 1072029 CINE-XENAR III Wide Angle Lens is an 75mm lens with a PL-Mount that is designed for digital Cinematography, and covers a Super 35mm frame. It is part of a range of available lenses that includes 18, 25, 35, 50, 75 and 95mm. 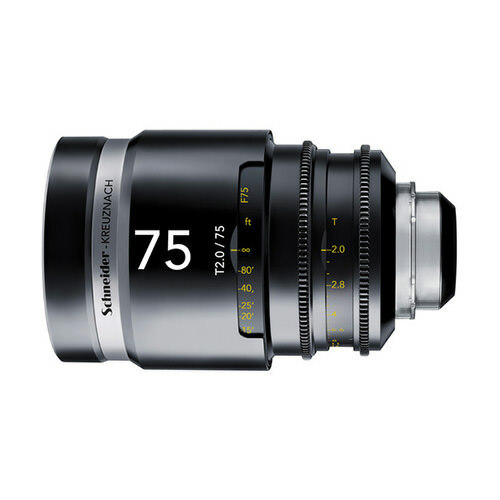 This lens shares the same optical and mechanical characteristics as the other lenses in the set, making switching between lenses virtually seamless.